This extreme JEEP worth spectacle. Not only has three axles, but completely open the engine compartment and exhaust perhaps taken from the truck just to see. 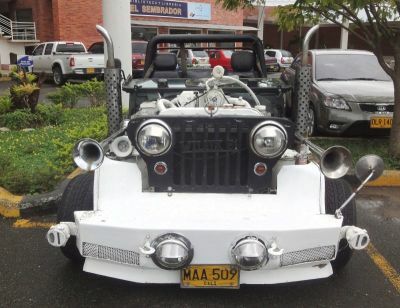 This entry was posted by velkysupersef on April 16, 2013 at 8:10 pm, and is filed under Funny Tuning, Jeep. Follow any responses to this post through RSS 2.0. Both comments and pings are currently closed.